Amazon has updated the latest version for Kindle Fire tablet to 6.2.1. Kindle version 6.2.1 will remove root privileges and may produce other problem for user who have rooted their tablet. But it also improves performance for that are running the Amazon software. You can delete books, apps and other content from carousel of recently used item on the home screen. It provides an option to require a password to turn on WiFi. It prevent anyone from purchasing apps without your permission. Now its possible to remove the Facebook app which is pre-installed with the Kindle Fire. It is just a shortcut to the Facebook mobile website, not an app for Android. 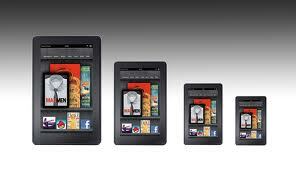 Amazon provides the automatically software update to Kindle Fire users. If you can't live without root access, you can download pre-rooted version but if you want improved performance download 6.2.1. latest version.